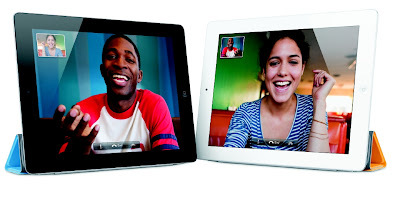 $499 Too Much for an iPad 2? How about $3,750 for a DOS Tablet? Would you pay $3,750 for a tablet computer? In 1991 lots of people did, and apparently were quite happy to do so. It never ceases to amaze me how the power of the computer-buying dollar continues to rise at a breakneck pace despite the sour state of the U.S. economy. With each new year you get much more video muscle, far more data storage and much stronger and faster processors for the same number of dollars. And that’s the rule whether we’re talking PCs, laptops, cell phones, tablets or any other computer-based gadget. And if you adjust for inflation, the numbers only get better. With the introduction of the Apple iPad 2 this week at prices starting at $499, I began to wonder what kinds of tablets were available 20 years ago and what they would have cost. Then I stumbled upon the above photo in my computer history archives. The GRiDPAD RC and GRiDPAD HD, manufactured by GRiD Systems, were announced in 1991 and were indeed standard-setters at the time. 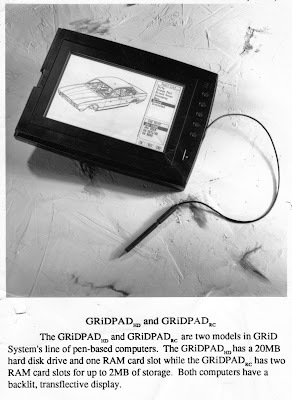 In fact the original 1989 GRiDPAD was developed by Jeff Hawkins, better known as the father of the Palm Pilot handheld computer. 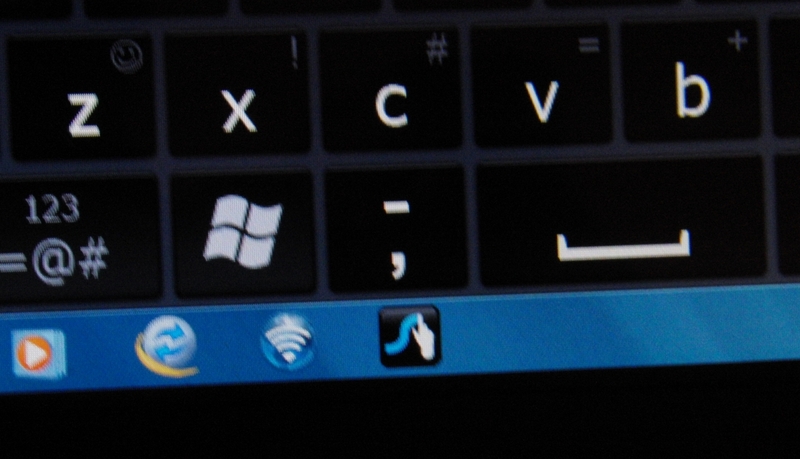 Instead of a finger, the monochrome, backlit and transflective touch screens on the GRiDPADs were navigated with small pens wired to the units. 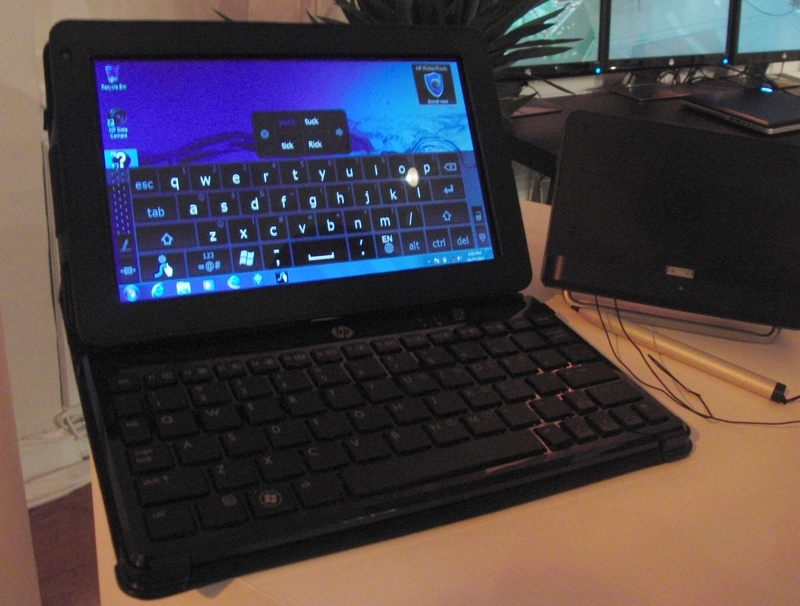 The 4.6-pound GRiDPAD HD listed for $3,750 and came with a 20-megabyte (That’s right, not gigabytes. And wipe that smile off your face!) hard disk and a RAM card slot. The hard-diskless GRiDPAD RC ($2,870) came with two RAM card slots which would allow you to install as much as 2MB of storage. Both came with 2MB of internal RAM for programs. By comparison, Apple’s $499 Wi-Fi only iPad 2 comes with 16GB of RAM, weighs 1.33 pounds and has a 9.7-inch, 1,024-by-768-pixel color display. Of course the iPad 2 offers far more sophisticated features and software than the ancient GRiDPAD units, but all were standard-bearers for their time. For example, even though Windows 3.0 was available when the GRiDPAD HD and RC were announced, they came with with the much more reliable, stable and less-memory-hungry DOS (Disk Operating System). Windows 3.1, widely regarded as the first truly reliable Windows version, didn’t appear until 1992. Now before you think of what you could buy for $3,750 today, let’s adjust for inflation. According to the U.S. Bureau of Labor Statistics’ CPI Index Calculator, $3,750 in 1991 translates to $6,063.41 in 2011 while $2,870 in 1991 becomes $4,640.53 today. And just for the heck of it, note that today’s $499 translates into $308.61 in 1991 dollars. See those dollars sitting innocently in your wallet? They’re getting stronger by the hour–at least in terms of gadget-purchasing power–even as you turn a couple loose for that cup of Starbuck’s coffee. Any other good examples of 1991 pricing? Let’s hear about them. Photos courtesy of GRiD Systems and Apple.